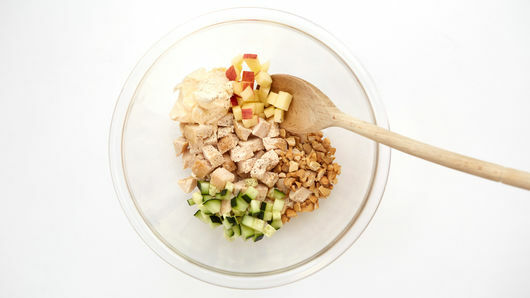 In medium bowl, combine chicken, apple, cucumber and cashews; mix well. Add 2 tablespoons mayonnaise, onion powder, salt and pepper; mix well. 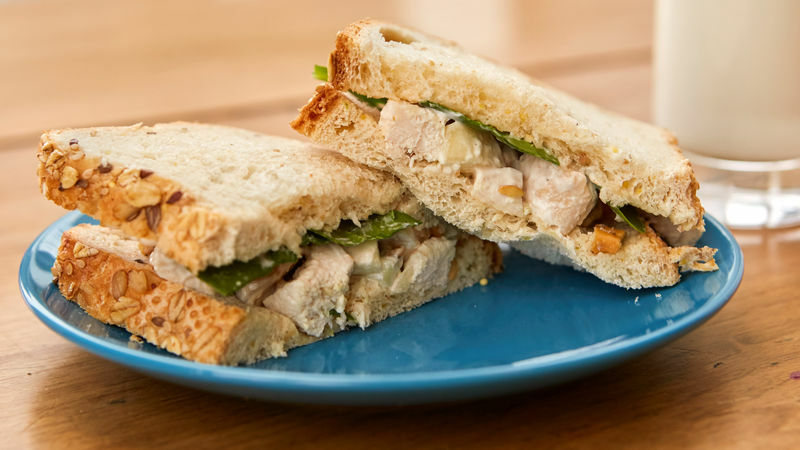 Spread about 1/2 cup chicken mixture on each of 4 slices of bread. Arrange spinach leaves over chicken mixture. 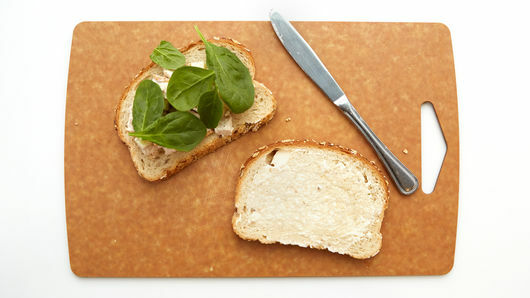 Spread each remaining bread slice with 1 teaspoon mayonnaise; place, mayonnaise side down, over spinach leaves. Chopped pear can be used in place of chopped apple. Try slivered almonds in place of cashews. Serve this sandwich with tiny cherry tomatoes. Cut them in half, and toss them with chopped fresh herbs and a drizzle of balsamic vinegar.